One cure for flabby prose is greater attention to more lean, muscular writing by, whenever possible, creating a subordinate clause for one sentence by combining another sentence with it. Here are five examples of this approach. While I usually enjoy the tips given here, I don’t quite agree on this one. In my opinion, one should strive to _shorten_ sentences, not make them even longer – I’d rather break sentences up than combining them. Isn’t it harder to keep your reader focused when he has to keep the thought across several subordinate sentences? Are we sure that the solution N.2 has the same meaning of the original sentence? I notice far fewer subordinate clauses in the media lately, especially in the news. I think it appeals because it produces a lower FOG index, which the moguls imagine, wrongly I think, that it will broaden their audience. It certainly sounds clunky, in fact childlike. The revised sentences could be tightened. In the first example, substitute “was appointed to serve” with “served,” given that he did, apparently, serve. 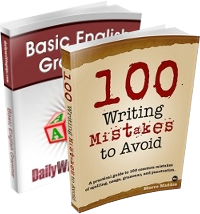 Do without soft verbs like “was” when possible. In example 2, be active: The Water and Forest Association wrote Senate Bill 7 to call for the creation of an unpaid three-member commission. This is a good strategy for reducing redundancy and tightening sentences. 300 Days of Better Writing, day 106, addresses this strategy, as follows. Let’s say you have two short sentences or one average-length sentence with a short sentence that provides additional information. To prevent your document from sounding too choppy or repetitive, you can combine the two sentences into one. One way to do this is to create an introductory clause or phrase from the additional information. Consider these sentences. These two sentences are nearly the same: the person + speak + statement. This makes the two sentences sound repetitive. Sentence two provides some extra information about the main concept in sentence one. 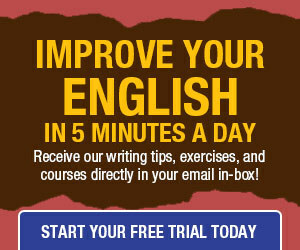 Using this tip, we can create an introductory phrase from sentence two. This gives us the following revision. With the extra information in an introductory phrase and not in the main sentence, the main idea of the sentence is clear. This is also a good way to vary sentence length, resulting in more engaging writing, without making your sentences difficult to understand. Love the site! I think the point of the article was to just show how to combine sentences in an efficient manner, and not necessarily a comparison of which is better: shorter or longer sentences. But I could definitely see the confusion. As writers, I feel we must always strive for clarity since words are the only source of conveying our thoughts to the reader. Thus, depending on the complexity of a message or chapter or passage in a book, long and short and medium sentence lengths should be used. And avoiding repetition of either length for too long is good I find because then it can distract from the meaning. Can’t wait to read tomorrow’s tip. Keep up the great site.